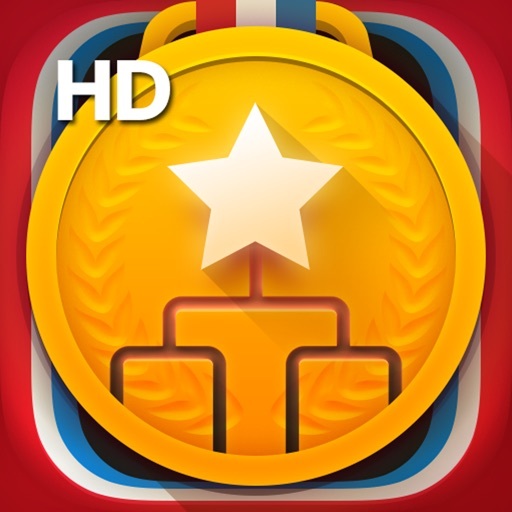 Bracket Maker HD - Tournaments Manager & Fixture Maker Pro By CS SPORTS by CobbySoft Media Inc. 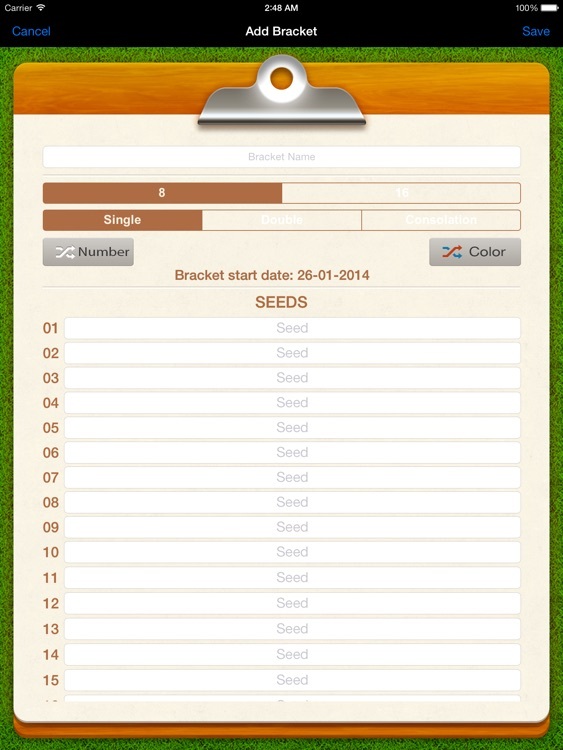 Bracket Creator is the perfect companion for any tournament. No matter the sport – from basketball, to softball or wrestling with everything in between - this bracket app is the easiest, fastest way for you to keep your match under control. Get ready for the action with these great features! ► Easy to use, easy to manage. Easily the best sport bracket creator around! 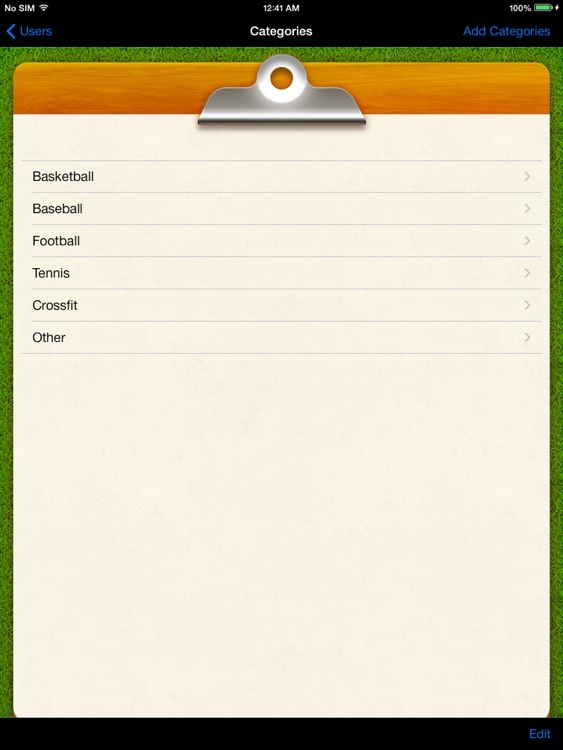 ► Create, save, load and copy as many brackets as you want. ► Stay on track with tournaments of up to 16 teams! 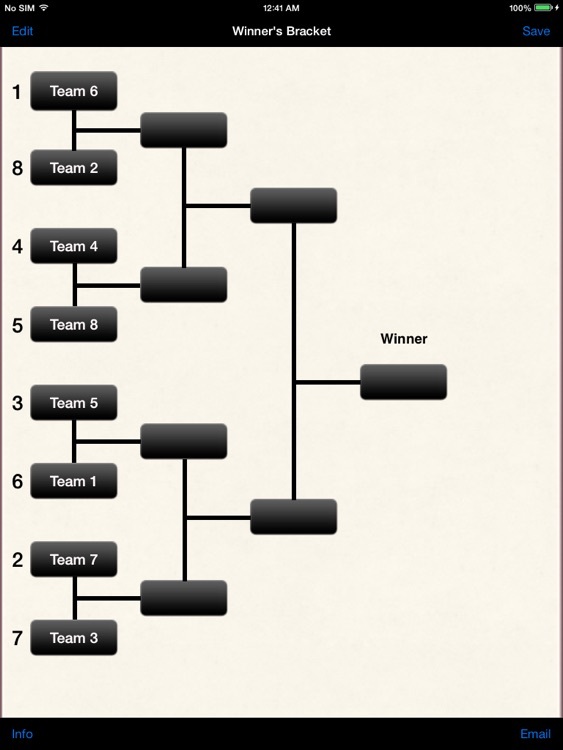 ► Choose between Single Elimination rounds, Consolation and Double Elimination rounds. ► What you see is what you get! Options are unlimited, included in the bracket app's price. No in-app purchases, no nonsense! 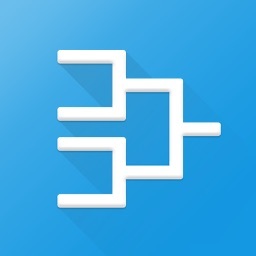 ► Great design with easy navigation within the bracket maker app. 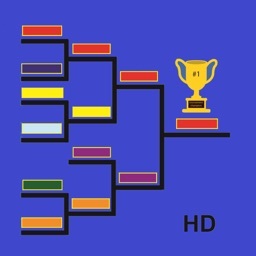 ► Save your own tournaments! You don't have to spend time going through the motions every time you play - just save your tournament and load it up later. ► Share your bracket via email! ► Awesome support! Just email us and we will get back with an answer as soon as possible! 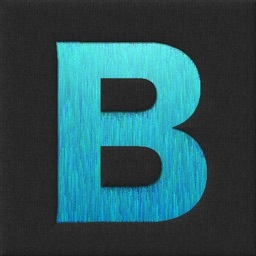 ► Take control of your brackets! 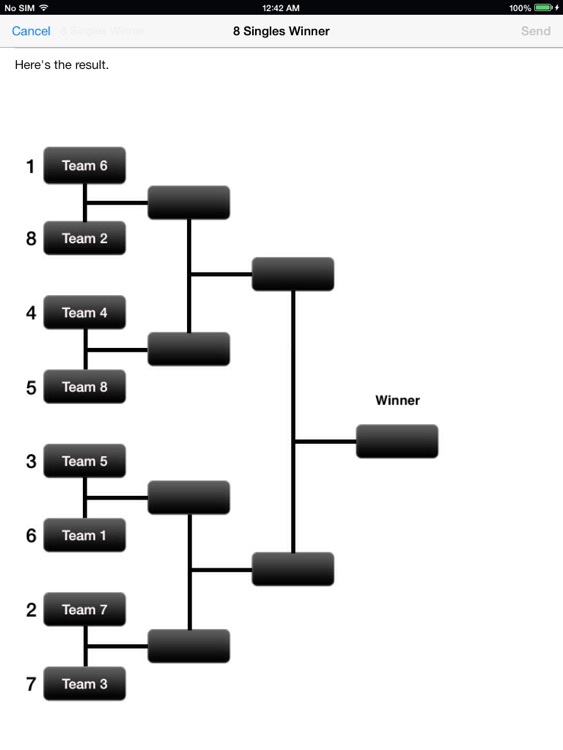 With Bracket Creator you are the creator of your own tourney. Making a sport tournament has never been more fun, and having instant access to it has never been easier! You can save and store your favorite tourneys - whether they're basketball, softball or wrestling - or create your very own match! You come up with the sport and a match or two and we'll do the rest. More often than not you're not making these brackets for yourself. That's why you can save and share all your tournaments, making it really easy to be on the same page with all your friends. That playoff has never been more interesting! You can even compete with your friends and see who the best bracket creator is. 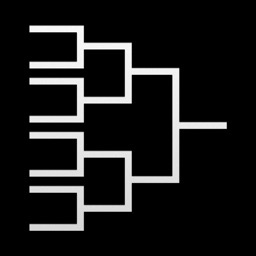 Bracket Creator doesn't have any hidden fees or money grabs. What you see is what you get, and you get an unlimited of brackets and tourneys. With this bracket maker you’ll get no headache, so you can enjoy the playoff. We understand that you will mostly use this app on the go, so we have made it extremely intuitive and easy to get used to. It only takes a short time for you to complete your tournament.